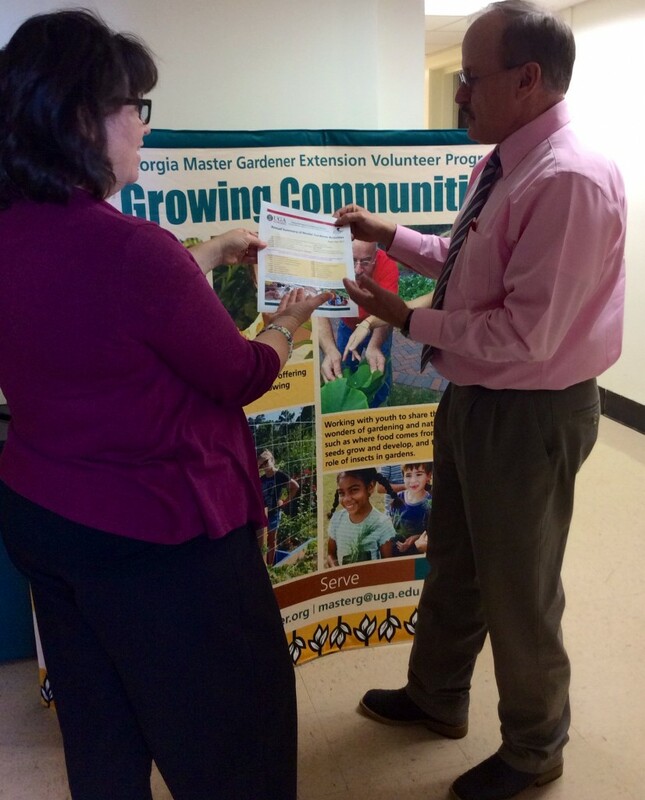 A few weeks ago, we had the privilege of speaking briefly with Dr. Lew Hunnicutt, Assistant Provost and UGA Griffin Campus Director, about the Georgia Master Gardener Extension Volunteer Program. Dr. Hunnicutt is new to UGA and to the Griffin campus and has been getting to know the faculty, staff, and programs on the Griffin campus. Coming from Texas, Dr. Hunnicutt was familiar with MGEVs — they do everything in a big way in Texas, right?! So, he very quickly understood the scope of our program when I shared with him our 2014* Annual Report. Our Annual Report is essentially the 30-second elevator speech for our program. It conveys in a concise way the heart of our program — the contributions of thousands of people to Extension’s educational mission. You can see past versions archived here. We generally use a short form, though we do have a longer version to use when we need to share more information. So, you can see that it is very important that all of those MGEV hours supporting Extension education projects get reported in MGLOG!! We sort through those hours, plot some of the data, ask a lot of questions of Agents and coordinators, look for trends and lessons learned, and then prepare the Annual Report, or story, about the Georgia MGEV Program. I think you’ll find the 2015 story a very interesting one! Thanks so much for reporting your hours! 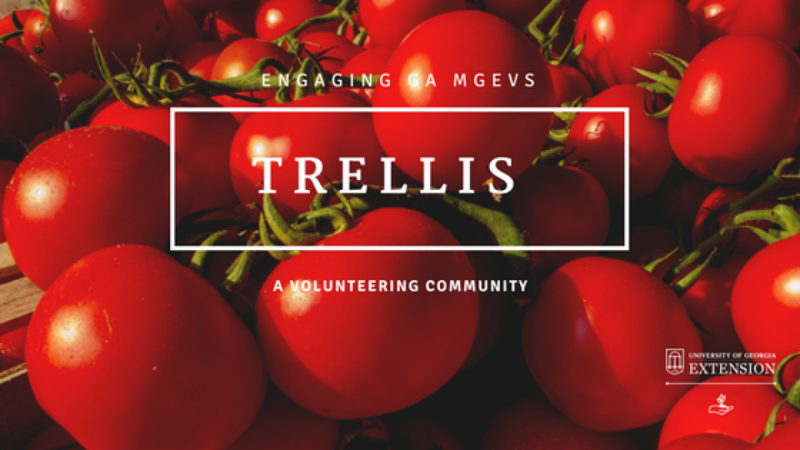 *We are excitedly reviewing all of the information that MGEVs shared about their 2015 volunteer experiences and anticipate a brand new report to be available in March! Posted in MGLOG. This entry was tagged Annual Report. Bookmark the permalink.